If your looking for a super fresh jam with a hint of sweetness, this is it! 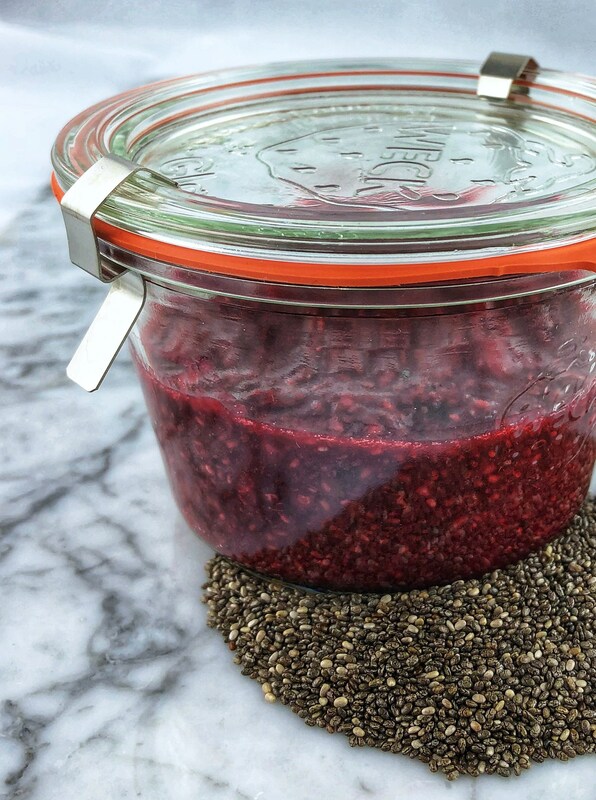 The chia seeds have amazing nutrients: healthy omega-3 fatty acids, protein, fiber, antioxidants and calcium. So this is not only delicious but very good for you too.. The lemon brings a hint of tartness and the sweet raspberries are my favorite. Quickest jam around, you literally dump and stir. This jam is so versatile. It’s so good on toast, yogurt, peanut butter, and even ice cream..
*I like to prepare this the night before, so it gives the chia seeds time to plump and give it that jelly consistancy. You can store the remaining left over jam in an airtight container for about 2 weeks in fridge. Chia seeds: great health food, or just great hype?